The traditional goals of endodontic treatment have focused on the “prevention and treatment of apical periodontitis”. Recent philosophies suggest that a change in focus to “the retention of asymptomatic and functional teeth” is a more appropriate patient focused goal. This lecture will look at how this change in focus has influenced the way that endodontic treatment is carried out, the critical role that new technologies play in this evolution and challenges encountered with this approach. Oliver completed his BDSc at the University of Queensland with first class honours. Following several years as a Dental Officer in the Royal Australian Navy he completed his Doctorate of Clinical Dentistry in Endodontics at the University of Melbourne. Oliver was awarded the inaugural Ephraim Ehrmann Prize in Endodontics for best overall performance in the degree. Oliver’s research into the clinical applications of CBCT has been published in the Journal of Endodontics. 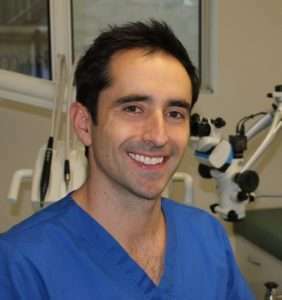 Oliver is in full-time private practice in Melbourne CBD in addition to teaching at the University of Melbourne. He is a member of the Australian and New Zealand Academy of Endodontists and Federal Committee member of the Australian Society of Endodontics. Oliver maintains an active role in the provision of continued professional development to dentists around Australia.